Three artistes from Assam have been selected for the Sangeet Natak Akademi Award, 2017. Xattriya dance exponent from Barpeta Jagannath Bayan was selected for Sangeet Natak Akademi Award in dance for his contributions in Xattriya dance while Ramkrishna Talukdar from Guwahati would get the award in the category of contemporary and experimental dance. Art director Nuruddin Ahmed has been selected for the prestigious award for his contributions to creative art form. 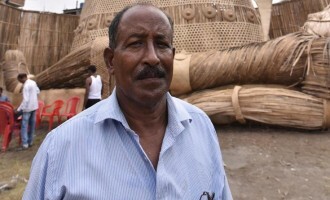 Ahmed, who is also a noted sculptor, is the winner of prestigious eleventh Chaman Lal Memorial National Award in 2004 for his contribution to the field of stagecraft. The President will confer the awards to the winners, who will also get a sum of Rs1 lakh along with a tampatra and an angavastram. The institution of Sangeet Natak Akademi Awards is now more than fifty years old and the large body of practitioners, gurus and scholars in the performing arts honoured by the Akademi represent the nation’s highest achievement in music, dance and drama.